Could Your Metal Allergy Keep You From Obtaining Dental Implants? - Phillip Igbinadolor , D.M.D. Dental implants are today’s closest restorative facsimile to natural teeth. And they’re versatile: not only can they replace single teeth but they can also support bridges or dentures. But since one of their crucial components is made of metal, are you out of luck obtaining this state-of-the-art dental restoration if you have a metal allergy? The answer is: probably not—it’s rare for implants to cause an allergic reaction. Still, metal allergies can be a potential problem within your mouth as with other areas of health. An allergy originates from the body’s necessary response to potentially harmful microorganisms or substances. Sometimes, however, this response becomes chronic and exaggerated, creating an allergy. People can have allergies to nearly anything with responses ranging from a minor rash to a potentially life-threatening multi-organ system shutdown (anaphylactic shock). A small number of people have allergies to particular metals. One of the most common is nickel, which affects an estimated 17% of women and 3% of men; cobalt and chromium are also known to cause allergies. Consumer exposure, particularly metal contact with the skin through jewelry or clothing, is the most prevalent, but not the most concerning. That’s reserved for metal allergies related to medical devices like coronary stents or hip and knee prostheses. And in dentistry, there are rare occasions of inflammation or rashes from metal amalgam fillings. 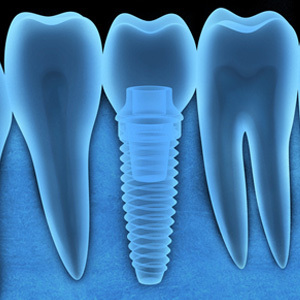 Which brings us to dental implants: the main metal post that’s inserted into the jawbone is usually made of titanium. It’s the metal of choice for two reasons: it’s bio-compatible, meaning the body normally accepts its presence; and it’s osteophilic, which means bone cells readily grow and adhere to it, a major reason for implant durability. While it’s possible for someone to have an allergy and subsequent reaction to implants with titanium, the occurrences appear to be extremely low. In one study of 1,500 patients, titanium allergies were estimated to be a factor in implant failures in less than 1% of those studied. Even so, if you have known metal allergies you should make sure your dentist knows. Being aware of all the facts will help them recommend the best tooth replacement choice for you—and hopefully it will be dental implants.